It says much about the dizzying football Liverpool played last season that despite having enjoyed one of the finest campaigns of his career, Sadio Mane was overshadowed. 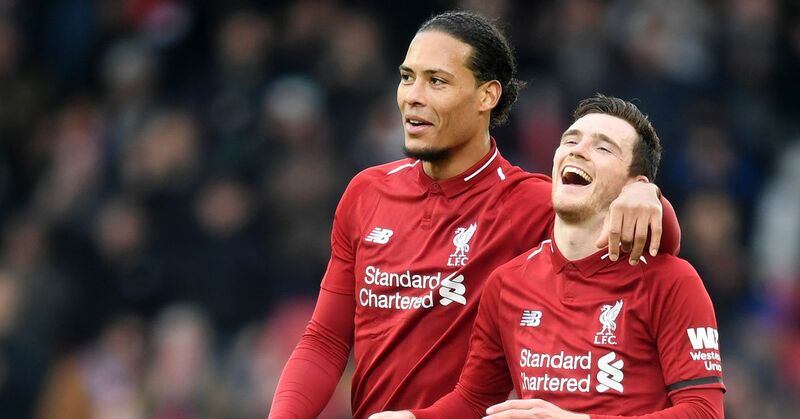 His first season at Anfield, in 2016-17, was an unqualified success, with a haul of 13 goals in all competitions and a string of eye-catching performances that earned him Liverpool's Player of the Season award and a spot in the PFA Team of the Year. Last season, he found the net 20 times—including a tally of 10 in the Champions League that put him above Neymar, Lionel Messi and Harry Kane—yet with Roberto Firmino scoring 27 goals and Mohamed Salah an astonishing 44, the lightning-fast Senegalese forward played not just second fiddle but third. Mane has led the way in the fledgling new campaign, with his four goals in four games putting him alongside Fulham's Aleksandar Mitrovic atop the Premier League scoring chart. He is the man in form for Jurgen Klopp's side ahead of their first real test of the campaign at Tottenham Hotspur on Saturday, but with characteristic modesty, he is eager to underline the contributions of his team-mates. "Lots of people like to talk about me and Salah. It's nice to hear those things, but the strength of this Liverpool team is the collective," Mane tells Bleacher Report. "You also can't forget that there's a guy up front called Firmino who works like an animal for us and makes things easier. And the guys behind us do some extraordinary work. We try to benefit from that and help the team go forward." Mane is the third Senegalese footballer to have played in Liverpool red, and although he has yet to collect any silverware, he is already the most successful. Salif Diao barely left a trace during his time at the club, and the most enduring legacy of El-Hadji Diouf's dismal two-year spell was a bitter feud with Steven Gerrard. Yet while Diouf has become something of a figure of fun on Merseyside, for Mane he was an idol. "When I was young, I had lots of favourite footballers, but Ronaldinho was my real favourite, along with El-Hadji Diouf from Senegal," he says. "They really inspired me. Those two players were examples for me as a footballer. They were skilful players and good dribblers who beat their opponents easily. "I was a very good dribbler as a young player, but now that I've got more experience, there are some useless things that I don't do anymore. It's all about making and scoring goals for the team, like my idols did when they were at the peak of their powers." Mane was 10 years old when Diao and Diouf inspired Senegal to a stunning quarter-final showing at the 2002 World Cup. He was already a footballer, having fallen in love with the game in dusty street kickabouts in the rural village of Bambali in southwest Senegal. "It was a normal childhood, like the childhoods of all children my age: going to school, playing in the street with friends, spending time at home with my family," he recalls. "I started playing in the streets and on a pitch in my home village. It wasn't the best pitch. It wasn't really made for football, but we tried to make do because that's the kind of pitch you find where I'm from. "Football was always my dream. I started playing at the age of five, and I'm still playing now." Mane made headlines in April when he donated £200,000 to build a school in Bambali. Having forged a career for himself the hard way, he wants to provide better opportunities for young Bambali residents. "It's one of my main objectives," says Mane, who also sent 300 Liverpool shirts to his home village ahead of Liverpool's 3-1 loss to Real Madrid in last season's Champions League final. "There are lots of projects under way. With time, I think those projects will take shape, and, in the future, there will be other Sadio Manes." Growing up poor in an out-of-the-way corner of Senegal, Mane's path to football stardom was littered with obstacles. He also had to overcome staunch resistance from within his own family. Mane's father, an imam, was firmly against the idea of his son becoming a professional footballer, despite having played football himself. Helped by a friend, Mane fled to Dakar, the capital of Senegal, and although he was promptly brought back, he secured a place at the vaunted Generation Foot academy, whose alumni include ex-Newcastle United striker Papiss Cisse and former West Ham United forward Diafra Sakho. Generation Foot's partnership with French club Metz gave Mane his path into European football. From there, he played for Red Bull Salzburg, Southampton and Liverpool. But though he left his family behind to fulfil his dream, it was with them firmly in mind that he set off in search of fame and fortune. "They weren't sure about it because I was a long way from the capital and almost nobody from there had succeeded. So they were against the idea, and they never believed it, right up until the day when I signed my first professional contract. "For them, it wasn't possible. They weren't exactly wrong because it really wasn't straightforward, but I wanted to realise my dream of becoming a footballer. I gave it everything. It got to the point where they didn't really have a choice, so they started helping me, and it worked. Today, they're all proud." Mane's humility was on show recently when he was filmed helping to clean his local mosque after scoring in Liverpool's 2-1 win at Leicester City. A practising Muslim, Mane leads a quiet life away from football and says he is quite happy to stay in watching television series, action films and football matches on TV. "I'm not a party animal or someone who travels a lot," he says. "When I'm not playing football, I prefer to recover and spend time with my friends and my family. During the holidays, I always go back to my village to spend time with my family and my childhood friends." Mane has ticked off several major career milestones in 2018, among them scoring in a Champions League final, scoring in a World Cup and eclipsing Demba Ba as the leading Senegalese goalscorer in the history of the English top flight. At 26, he is entering his peak years as a footballer, and he is on course for the most prolific season of his career. It was with just such improvements in mind that he decided to join Liverpool in June 2016. Two years on, he has no doubts he is on the right path. "I think that in life everyone asks themselves questions," he says. "Of course the staff and your team-mates can help you get better. "I've improved in lots of ways, and I'm really happy. That was what I was hoping would happen [when I joined Liverpool]. I think there are still lots of things that I can improve, so I'll try to keep working hard."